After the horror of the Charleston church shooting, some faith in humanity was restored in the way that the people of Charleston–people with light and dark skin–rallied together in a beautiful show of unity. That faith was quickly diminished when the “progressives” predictably tried to exploit the tragedy to push their hard left agenda. All it took was a few photos of the deranged killer Dylan Roof posing with a confederate flag and, just like that, the leftist bottom feeders had something to ban. Would the absence of that flag have prevented the massacre? Absolutely not. But as Rahm Emanuel infamously said, you never want to let a crisis go to waste. In the blink of an eye, corporate giants like Wal Mart and Amazon were falling in line, announcing the prohibition of anything bearing the Stars and Bars to be sold through them. 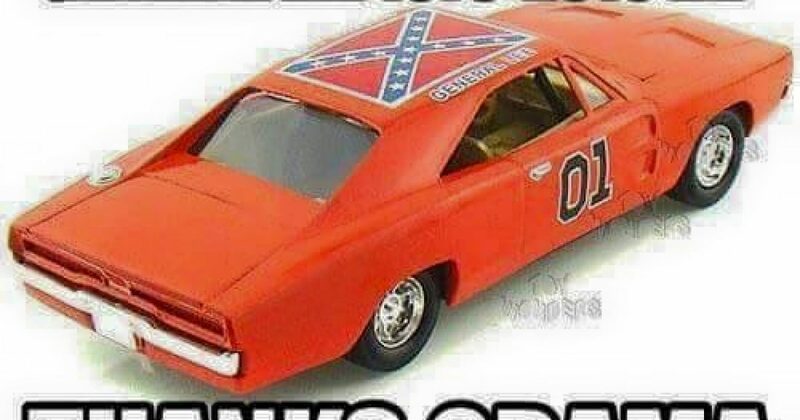 Even innocent family fare like The Dukes of Hazzard reruns were being attacked by the muckety-mucks of the victimization industry. Some in the cable news swamp even suggested that the Jefferson Memorial should come down because TJ–a man of the 18th century–had owned slaves. What is the point of this Stalin – like rewriting of American history? To some, the confederate flag brings to mind the Civil War and a part of American history. To others it is a symbol of the institution of slavery that existed in the Old South. Apparently we have become so politically correct and hyper – sensitive that anything offensive to anyone must be obliterated from society. Here’s a news flash to the America – hating PC crowd: Every country and every civilization throughout time has had shameful episodes in its history. The hideous business of slavery was practiced in many cultures and nation-states. The United States hardly had a monopoly on it. In fact, it could easily be argued that the U.S. has done more to atone for its slavery past than any other 10 countries that also practiced it. Yet only the U.S. is forced to engage in this sado-masochistic self-flagellation. We should focus on unity of the Charleston community as an example to follow, not the book – burning mentality of the agenda – obsessed radicals among us.